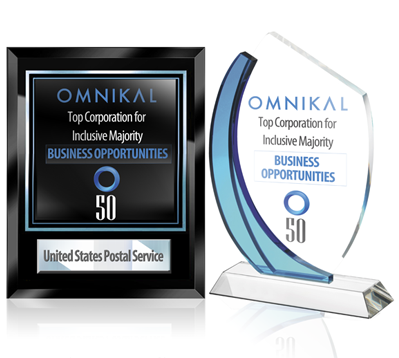 While other awards and “top” lists crown companies for overall economic growth, returns to shareholders and similar metrics, the Omni50 is an indicator of which organizations provide the best and the most business awarded to diverse-owned companies. This in turn attracts more government agencies, as they compete for market share in multicultural communities. The annual list is produced by an unbiased online survey by privately owned companies. Over 2 million businesses were asked to answer 10 questions about inclusive business practices in the marketplace. Their answers were based on factors such as volume, consistency and quality business opportunities granted to companies targeted for impact sourcing opportunities. Since 1999, it has become a highly valued metric of business excellence in reaching the Inclusive Majority.